Some 150 schools with more than 12,000 pupils have been forced to close due to the deadly attacks in Niger's southeast Diffa region, the United Nations said on Thursday. Most of the affected schools are near Lake Chad and on the banks of the Yobe River, which marks the border between Niger and Nigeria, the UN's Office for the Coordination of Humanitarian Affairs said in a statement. The agency said 151 schools with a total of 12,631 pupils had closed due to "insecurity that has sparked the absence of teachers and panic in the population". "The pupils are now at camps for displaced people," the agency said, adding that there are no schools at the camps. 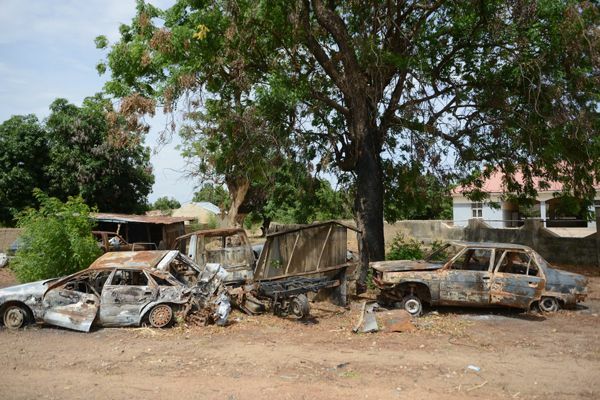 Numerous local schools closed following Boko Haram's first attacks in the country in February, with more following suit following a recent surge in assaults by the Nigeria-based Islamist group, a local official told AFP.